I have heard that you are considering licensing homebirth midwives who have the CPM (certified professional midwife) designation. Before you reach a decision, there are 8 important facts that you ought to know about homebirth and CPMs. 1. ALL the existing scientific evidence, as well as state and national statistics show that homebirth with a homebirth midwife dramatically increases the risk of neonatal death. 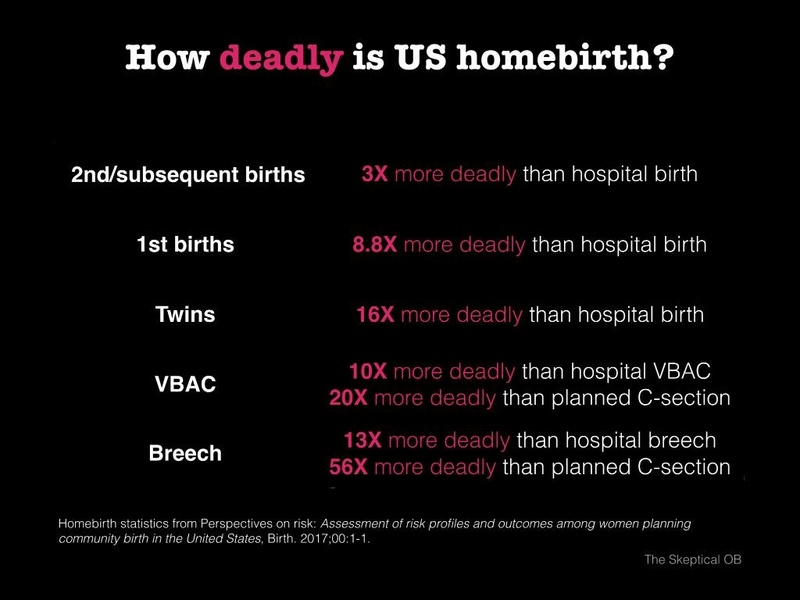 The most recent CDC statistics for PLANNED homebirth with a non-nurse midwife has a death rate 7 TIMES HIGHER than comparable risk hospital birth. 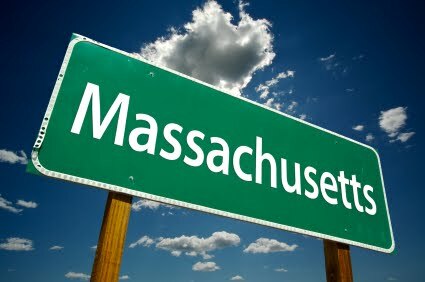 How about individual states with licensed homebirth midwives? Colorado statistics on planned homebirth show an appalling death rate double that of all births (including high risk and premature births), California has a mortality rate double that of low risk births, and over the past 10 years planned homebirth in Oregon has had a death rate at least 3 times higher than comparable risk hospital birth. 2. The studies that claim to show that homebirth is safe are examples of bait and switch. The widely quoted Johnson and Daviss study (BMJ 2005) compared planned homebirth in 2000 with hospital births in papers dating back to 1969. Comparing planned homebirth in 2000 with low risk hospital birth in 2000 (the data was available) shows a death rate 3 times higher for homebirth. Moreover the authors do not disclose that Johnson was the former Director of Research for the Midwives Alliance of North America, and Daviss, his wife, is a homebirth midwife. They do disclose that the study was funded by a homebirth advocacy foundation. 3. There are two types of midwives in the US, certified nurse midwives and certified professional midwives. Certified nurse midwives are real midwives with education and training that exceeds all other midwives in the world. In contrast, certified professional midwives (CPMs) are not real midwives at all. The “credential” was made up by women who would not or could not complete real midwifery training. CPMs lack the education and training required of midwives in ALL other first world countries. The CPM is not recognized and is not eligible for licensure in ANY other first world country. 4. Most women who have the CPM designation haven’t attended midwifery school of any kind. They have completed a program of unmonitored “self-study” and paid the fee. 5. The “thought leaders” of homebirth are a self-proclaimed midwife who has no midwifery training (Ina May Gaskin) and who let one of her own children die at homebirth, a self-proclaimed “expert in obstetric research” (Henci Goer) who has no training in obstetrics or research, and a washed up talk show host (Ricki Lake). 6. According to the WHO, the best measure of obstetric care is PERINATAL mortality, and according to the WHO, the US has one of the lowest rates of perinatal mortality in the world. 7. The Midwives Alliance of North America, MANA, the organization that represents homebirth midwives, spent the years 2001-2008 collecting data on the outcomes of planned homebirths. During that time they publicly proclaimed that they would release the data to show that planned homebirth is safe. Once the data was analyzed, they changed their mind. MANA REFUSES to release the death rates for the 24,000 planned homebirths in their database. It doesn’t take a rocket scientist to figure out that MANA’s OWN DATA shows that homebirth increases the risk of neonatal death and they are hiding it so that American women will not find out. 8. Two out of three babies who died at homebirth would be saved in the hospital. Zero babies who die in the hospital would be saved at homebirth. Homebirth leads to preventable neonatal deaths. All the existing scientific evidence confirms this and all the available state and national statistics demonstrate this. Even MANA knows that homebirth leads to preventable neonatal deaths; they just don’t want the Massachusetts legislature and American women to find out. This article is poorly informed and extremy biased for some reason. Please, do some independent research on this. Also, besmirching Ina May Gaskin in this light is ridiculous. She has attended thousands of births, has recorded birth outcomes throughout her career that far exceed national statistics and is well respected internationally. Ina May herself would not advocate home birth for all cases and is careful to use strong evidence based studies to back claims made in her books. She also often paints a picture of medical care being appropriate when necessary. Finally, the picture you paint of CPMs being uneducated is simply untrue. These people are not completing self study and taking a test- they shadow and apprentice experienced midwives as part of their education. I don’t think you posted perinatal stats, which would be what you’d want. Neonatal isn’t the same. Can you explain why MANA refuses to release their mortality statistics. Because everyone knows if they where great, MANA would be publishing them everywhere for everyone to read. “Truth” Please do your research or you are going to look like a fool parroting this rubbish. You might like to do some research on that. Every woman who chooses to birth at home has to sign Informed Choice documents stating that they have done their own research. Also, OOH midwives take only low risk clients……..there is a place for hospitals and there is a place for home birth.